Lieutenant General Sami Anan detained and accused of breaking the law by running for office. 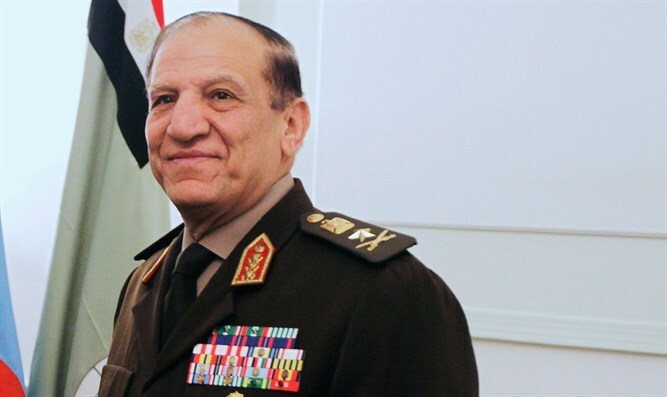 Egypt’s former military chief of staff, Lieutenant General Sami Anan, on Tuesday halted his presidential campaign after he was detained and accused by the army of breaking the law by running for office without permission, Reuters reported. Anan, who announced his candidacy on Saturday, was seen as a potential threat to the re-election of Egyptian President Abdel Fattah Al-Sisi. He was taken to the Military Prosecutor's office in Cairo, according to his son and one of his lawyers, who were waiting outside the building. Anan's son Samir Anan said late on Tuesday they had not heard from his father since his detention and did not know whether he was still at the Military Prosecutor's office or had been moved elsewhere. An army statement read on state TV said Anan's presidential bid amounted to "a serious breach of the laws of military service", because as a military officer he was required to end his service and seek permission before seeking office, according to Reuters. Anan's spokesman denied he had broken any laws. The charges "come from an inaccurate reading of Anan's announcement," Hazem Hosni told Reuters, without elaborating. The campaign announced Anan was halting his bid. The military declined to comment on Anan's detention. The interior ministry could not immediately be reached for comment. The Military Prosecution later issued a statement banning media coverage of its investigation into Anan. Anan's announcement that he planned to run for the president came just hours after Sisi publicly confirmed he would seek a second term in the election. Egypt will hold the first round of the elections between March 26 and 28, with a second round being held on April 24-26 if necessary. Candidates must register between January 20 and 29. Anan served as armed forces chief of staff from 2005 until August of 2012, when he was dismissed by Morsi. Some had speculated that Morsi’s decision at the time was due to the fact that Anan and another top general, Defense Minister Mohamed Hussein Tantawi, had plotted a coup against him. One of those is former prime minister Ahmed Shafiq, who had announced he would run in 2018, but later backtracked and announced he would not be a candidate, explaining he came to realize he was not the right person for the job.